This photo pretty much sums up Fall in Washington State. 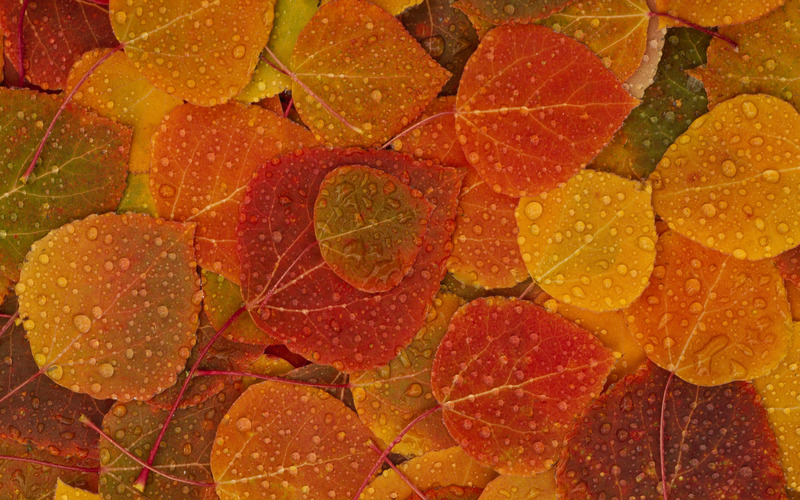 Beautiful colors and rain, rain, rain! For me, Fall is a time for hot apple cider, my Snuggie (awwwww yeah! ), my down booties, candles that smell like pumpkin pie and evergreen, and good books. I’ve already read Marley & Me and For the Love of a Dog and I’m almost (almost!) finished with Inside of a Dog, but it’s dragging big time and I can’t bring myself to pick it up off the shelf. Oh, yes. 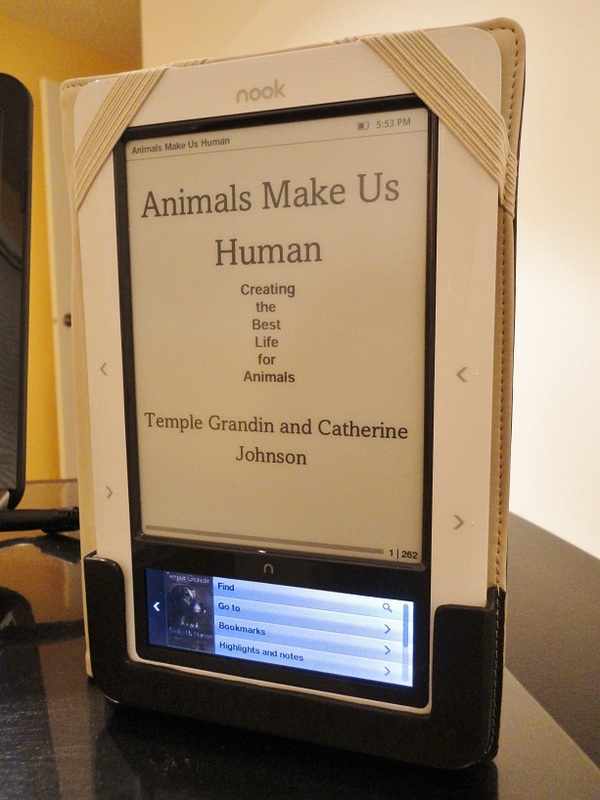 You may remember me mentioning that I downloaded the sample of Temple Grandin’s Animals Make Us Human for my Nook a while back. It took me a few months, but I finally bought the entire book and I’m hooked! With the research I’ve done on Temple Grandin and the few times I’ve seen her on TV and YouTube, I knew I’d enjoy this book because she’s very straightforward and easy to understand. 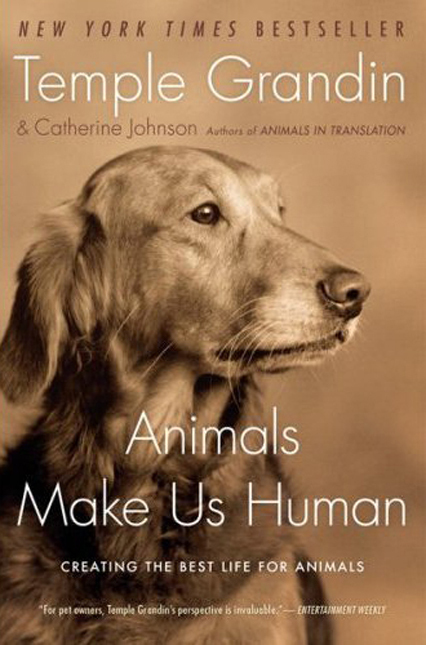 If you’re looking for a warm and fuzzy books about dogs, Animals is not for you. Grandin is very matter of fact and gets to the point quickly. I think I appreciate her straight-to-the-point writing more after reading For the Love of a Dog. 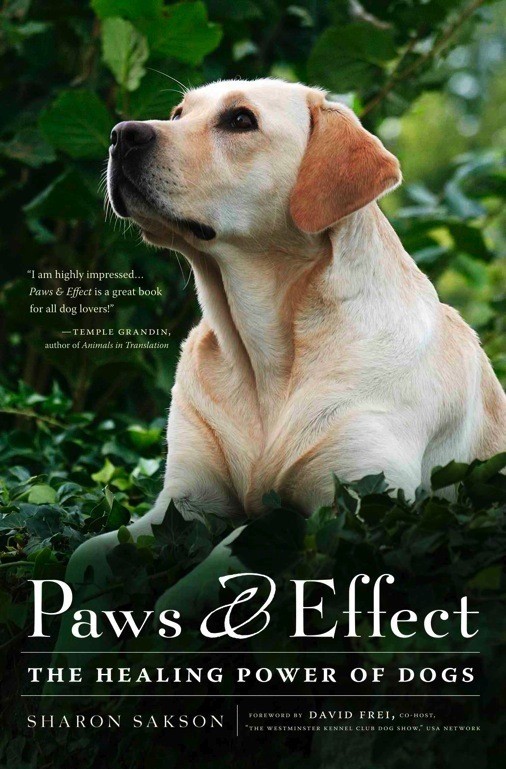 In Dog, Patricia McConnell used a lot of stories to illustrate her research on dogs. I loved that, and it’s one of the things that made her book so easy to read. It’s nice to have the opposite approach to describing research and dog behavior with Grandin’s Animals, though. Mixes it up! I’ll fill you in on the deets once I finish Animals. 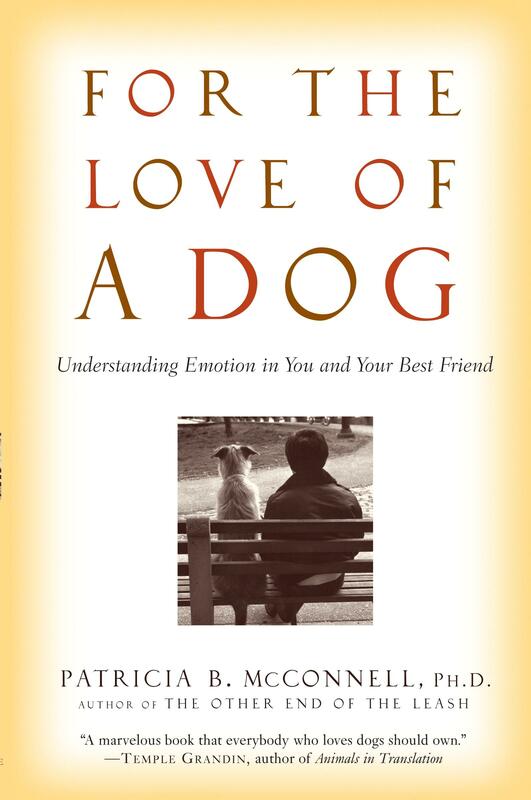 She’s got a lot of really fascinating stuff about dog emotion that I’m wrapping my brain around. What’s in the queue after Animals? 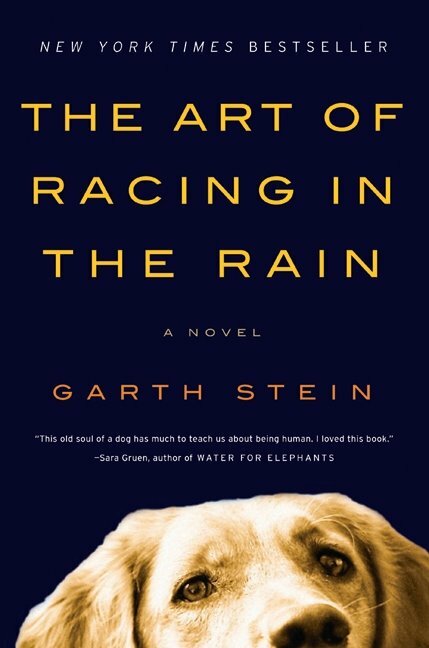 I’ve heard nothing but wonderful things about The Art of Racing in the Rain (and that I’ll surely bawl my eyes out). I can’t wait to start it! What dog books have you read that you’d recommend? Anyone read this one yet? Have a great Fall evening! Posted on October 20, 2011 October 20, 2011 by Shannon	This entry was posted in Bookshelf. Bookmark the permalink. I’ve read Racing….. talk to me about it! 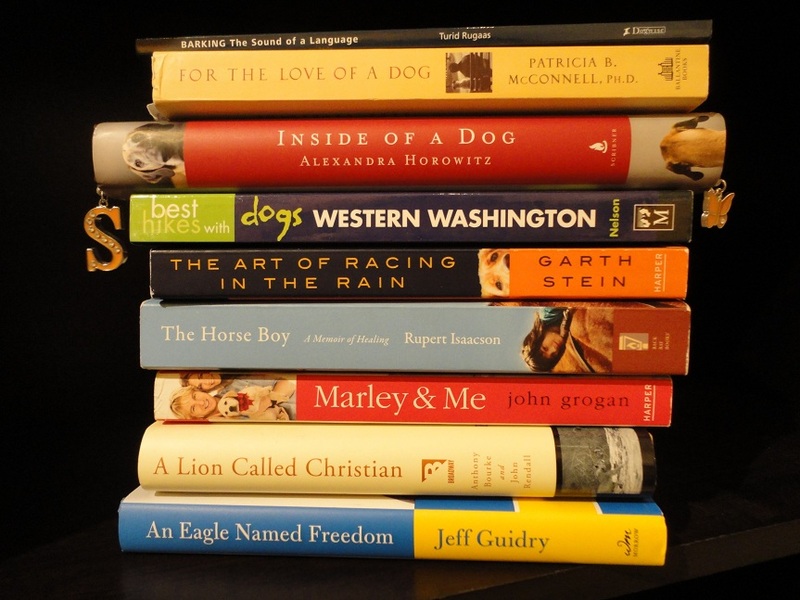 I read “Racing” before I was a dog person, and it STILL left a great impression on me. I think you will love it. Hey lady…I’ve been wanting to read a book or two that would help with the variety of dogs & behaviors that I encounter while walking them at the shelter. Any recommendations? Hey, you! I really liked “For the Love of a Dog.” It helped me understand a lot of “strange” behaviors that I’ve seen in Teton and in other dogs. Turns out, they aren’t so strange because they totally make sense in a dog’s brain!